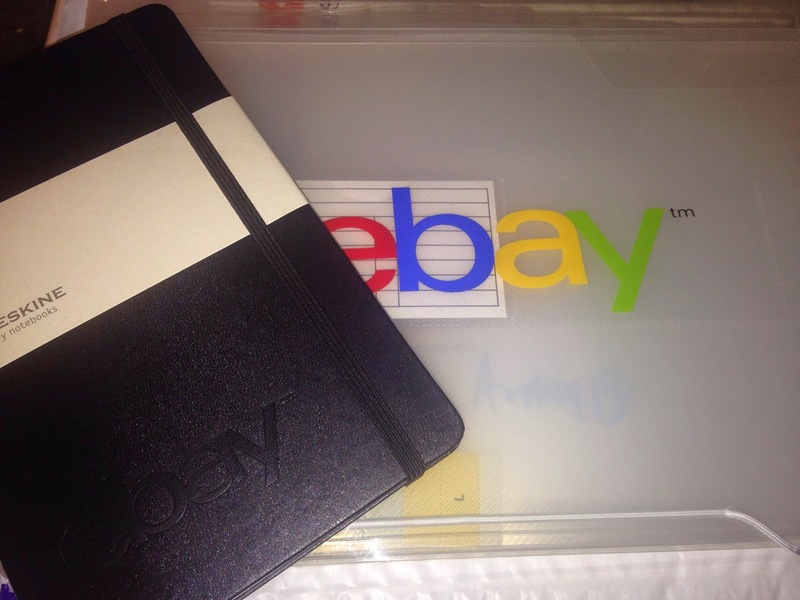 Random Anny .Com: Who doesn't love eBay freebies? Who doesn't love eBay freebies? a file folders, measuring tape AND moleskin notebook journal! Check out the branding!!! eBay tape, measuring tape and pen/stylus hybrid! This is my NEW favorite pen! Isn't it funny how I didn't know stylus/pen hybrids were a thing until just the other day? At first I was going to keep the tape and treasure it forever but then I came to my senses. I use too much tape to keep random rolls around. I like the measuring tape and plan to use it wrapped around mugs and stuff. Thanks eBay! Next time mention freebies and I will respond sooner!